As a fire destroyed most of the 1890 Census records, the 1900 U.S. Census is often considered one of the most valuable census records. These records provide insights into a 20-year timeframe. The 1900 census was the first to include the respondents birth month and year, the year of arrival in the U.S., the number of years living in America, and their Naturalization status. These additional questions can help you better track your ancestors, especially as the U.S. experienced a massive influx of European immigrants from 1890-1900. New additions to the census included the first census of the Hawaiian Islands conducted by the U.S. after Hawaii was annexed in 1898. The 1900 census included second ever Indian territory census conducted (most of the records of the first Indian census of 1890 were lost in the fire). Population: 76,212,168 - 21% increase compared to the 1890 Census. US Territories Participating: Alaska, Hawaii, Arizona, Oklahoma, and New Mexico were still territories at this time. How many years has the person been in the U.S.
Do they live on a farm? Do they have a mortgage still? 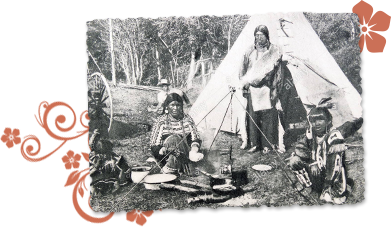 Use the supplemental Indian Population Schedule to find your Native American ancestors including their tribal affiliation and Indian Name (if provided). Wyoming and Idaho became the 43rd and 44th states in 1890 & Hawaii was annexed in 1898. The Battle of Wounded Knee in South Dakota 1890 was the last major fight between the U.S. and Native Americans. Ellis Island Immigration Station opened in 1892 and would process over 12 million immigrants. The 1896 Plessy v. Ferguson Supreme Court ruling approved racial segregation by the “separate but equal” doctrine. In 1898, U.S.S. 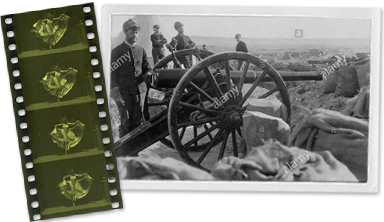 Maine exploded in Havana, Cuba, killing over 200 American soldiers, leading to the start of the Spanish-American War. In 1891 Thomas Edison premiered his strip motion picture film in New Jersey and patented the radio later that year. Gold is discovered in the Yukon District of Canada in 1896 starting the Klondike Gold Rush, known as the last North American Gold Rush. In 1897 oil was discovered on Osage Indian territory resulting in a large population influx near Bartlesville, Oklahoma. 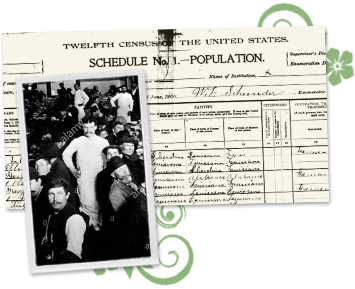 The U.S. census records of 1900 offer a glimpse into the lives of our ancestors living in 1900. 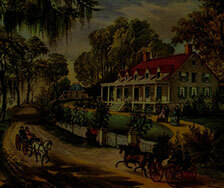 Combine this information with our newspaper archives to find additional details of their lives. Find out if your ancestors moved North for the promise of Gold or to Oklahoma for oil. Find out the answers to these and more to discover how these events impacted your ancestors’ lives and shaped your family history.